Chest Asender Strap: With back adjustable buckle, adjust size for different people. - With chest buckle, adjust chest ascender after the installation. 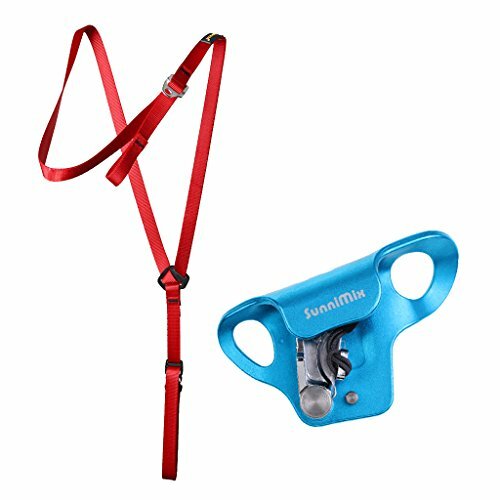 - Many people use this item for survival, climbing, hiking, biking, work, school, camping, fishing, traveling, gift idea, recreational. Chest Asender: CE Certification. Compact and lightweight chest ascender. - Width: 1.9cm/ 0.75inch. One size fits most. With chest buckle, adjust chest ascender after the installation. Many people use this item for survival, climbing, hiking, biking, work, school, camping, fishing, traveling, gift idea, recreational.